Kids love super heroes, at least as a kid I did. What’s fun is now my three year old is into super heroes too, though her favorite is Super Man (to each their own). My first introduction to heroes with powers was when I was four. The school I attended had a Pre-K program and it was right across the street from where my mom worked, so it made it convenient for my parents. Quick note about convenience – it always costs you more, and really isn’t worth the cost most of the time. Anyway, the class had toys for recess when it rained and we couldn’t go outside, among those toys were some Super Power action figures. As you can imagine Super Man was always the first taken because not only is he the most powerful, but in the hands of a four year old with unlimited imagination, he was even more powerful. Next was Batman, who was always attributed with more power than he really had, but hey it’s make believe. 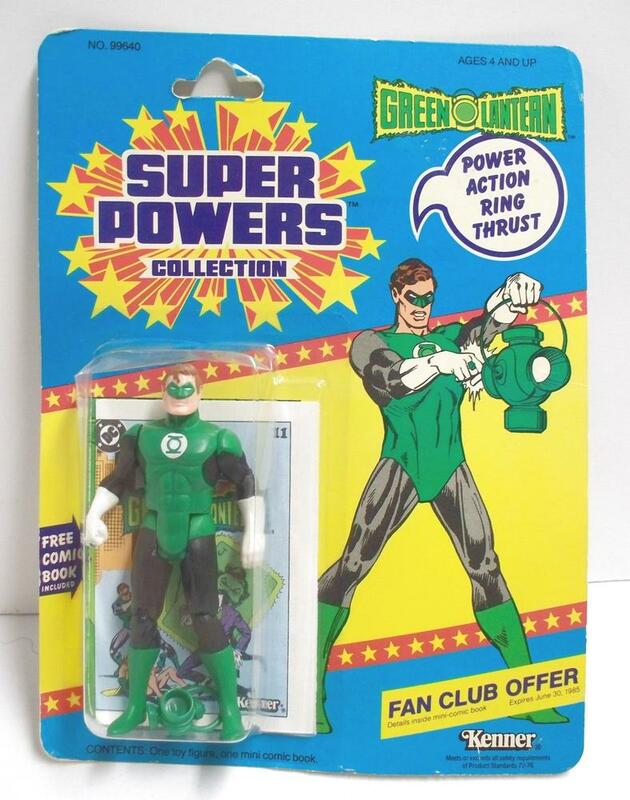 The one hero that wasn’t well known to a bunch of snot nosed little kids was Green Lantern – not being one of the “popular kids” in per-kindergarden if there is even such a thing – he was the action figure I often got to play with. After a while, like the kid who just gets used to sitting in the back seat, middle, with his feet on the hump, you just start assuming you spot and grabbing the action figure that’s always there, whether you were first or not. Hal and I became buddies. Every now and then when I went to a used book shop they would have old comics on a rack in a small section – I would go and search for Hal Jordan, thumbing through the pages, looking at the sketches, not paying attention much to the story. He became my favorite, I didn’t know jack about him, all I knew is he was the action figure I would get to play with. Over the years I actually started reading the comics, getting into his back story, and realizing that his greatest strength wasn’t his ring, it was his will-power. His ability to fight through no matter the odds. But he didn’t have it all the time. He always had the ring, but he didn’t always have the will to fight. He struggled. He failed. He was someone I could relate to. People always tell kids they have such potential. That they are going to do great things. That’s all well and good, but sometimes I wish people would just shut up about potential, and actually tell kids what they see. Telling a kid he has potential is like giving him a participatory ribbon for running the race – its there, its pretty, but it doesn’t really mean much. Telling a kid he is great at something, and giving specifics why, that’s the blue-ribbon. Anyway, like a kid who picks a team when he’s young because he likes the colors and just sticks with it as he gets older, that’s what I’ve done with the Green Lantern. And then my team won the Super Bowl – Geoff Johns took over DC comics and did a series with the Green Lantern called “The Blackest Night” It has to be one of the best series I’ve ever read. Of course my team has had some pretty bad seasons as well, any one see Ryan Reynolds’ Green Lantern movie? Yeah… you win some, you lose some. I stay a Green Lantern fan not because I have child hood issues, but because Hal and I, we can relate. We’re told we have all this potential, but at the end of the day it comes down to our will to actually see that potential realized, and some days we just don’t. – This isn’t a boo-hoo story, this isn’t feel bad for me because I don’t think I’m great, that’s not it at all – This is I fell into fandom only to realize it was a perfect match. Knowing what I know now, I’d go back and pick the Green Lantern, and when some snot nose kid tells me that Green Lantern couldn’t ever beat Super Man, I’d tell him Green Lantern’s ring can mirror kryptonite which renders Super Man pretty much useless, then I’d drop the mic and walk off with Hal to have some milk and cookies.